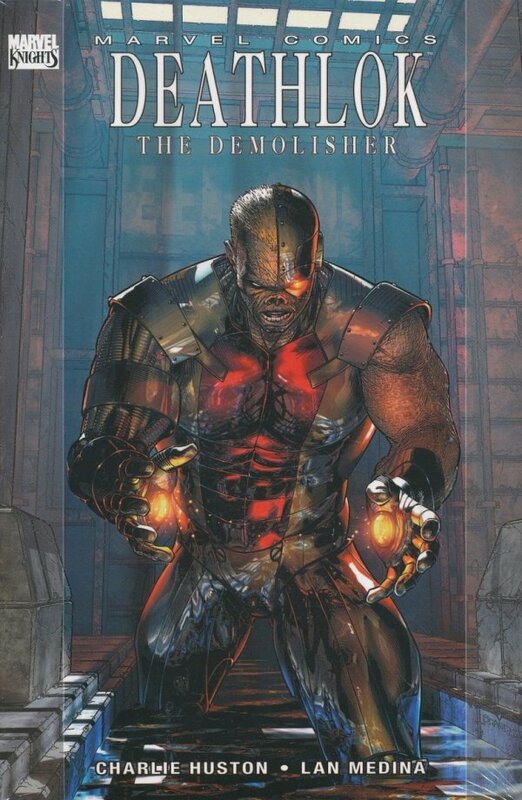 Marvel's ultimate cyborg is back in this Marvel Knights series written by Charlie Huston (MOON KNIGHT) and breathtakingly illustrated by Lan Medina (FOOLKILLER). In the not-too-distant future, war is a spectator sport, warriors die hard and live fast, and living larger than anyone is super-soldier Lieutenant Mike Travers. That is, until Travers hotdogs it on the battlefield and gets himself and his C.O., Luther Manning, blown to bits. The show must go on. 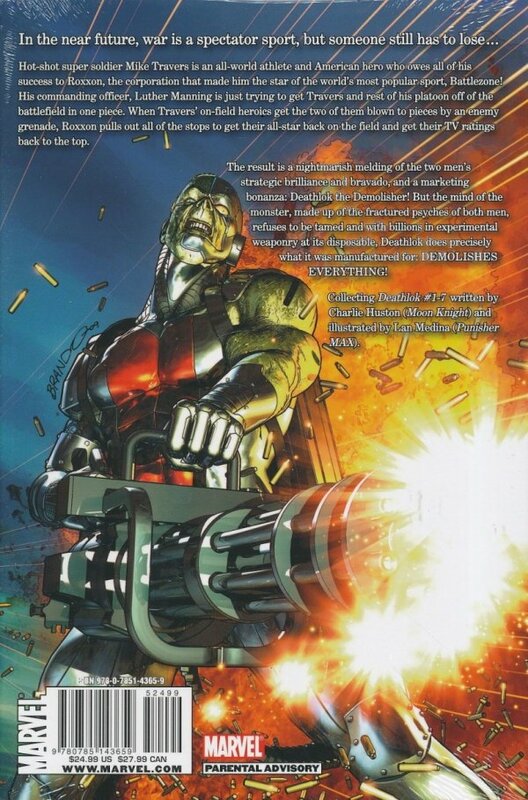 Enter: Deathlok the Demolisher!! !